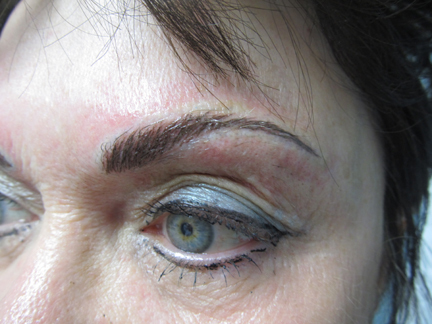 Permanent brows are a great solution for those with no hair, light colored hair, or sparse hair. 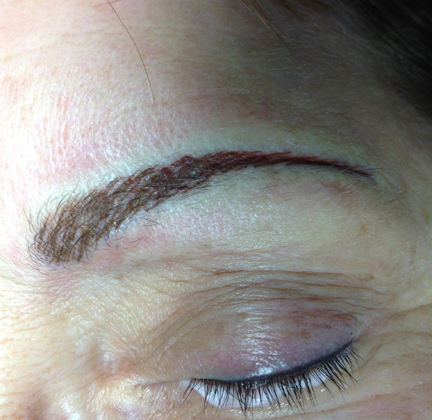 Permanent brows can also enhance the shape of existing brows. Imagine no longer having to spend time trying to draw symmetrical brows, only to have them sweat off later in the day. I design brows based on what you tell me your desires are. I will suggest design and color of the brows as well. 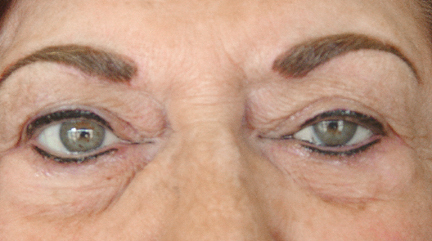 Typical design styles include; hair stroke brows (this type of brow may also be referred to as feathered, 3D or micro blading), shaded brows, or combinations of both hair stroke and shaded. I often get questions about microblading. 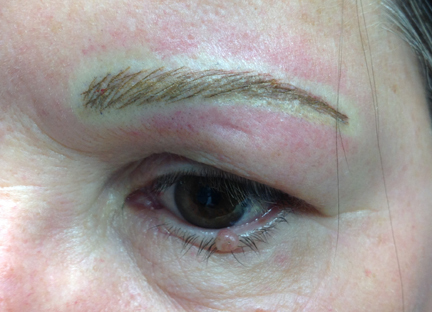 Microblading is a tool of choice for the technician. I acheive the finest hairs with a machine and a micro fine needle. 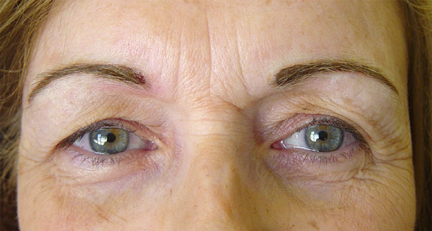 Typical longevity of eyebrows are 1 1/2-5 years. Hairstroke brows usually have the least longevity and some factors (skin type, sun exposure) can lessen the time they last. Please come in for a consultation to learn more. 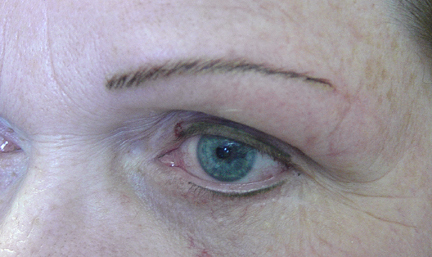 Longevity of any permanent makeup procedure is not guaranteed. Some hair stroke brows are not suitable for all skin types including; lighter skin, oily skin or skin with large pores, those with auto-immune disorders, brow areas with deep wrinkles, or tanned skin. 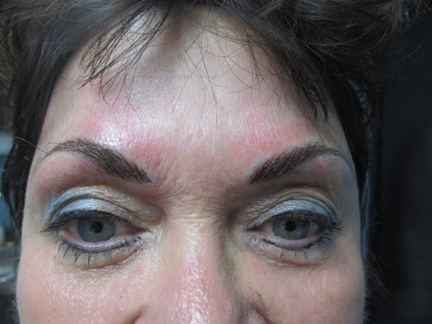 Hair stroke brows may not last as long as a shaded brow. This picture was taken immediately after a procedure. 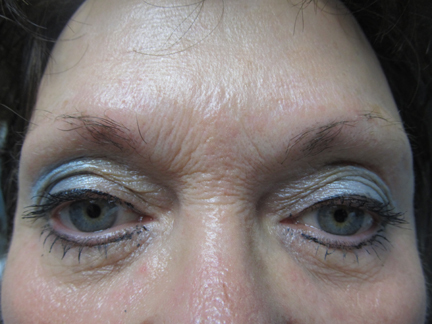 This is a look of hairstrokes, where the client had no brow of her own. 1) This look is to provide shadowing and filling in behind her natural brow. 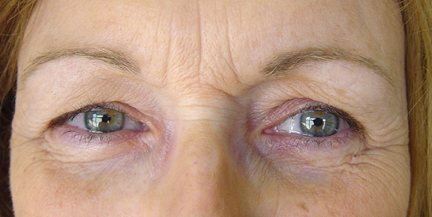 The picture was taken immediately after the procedure. 2) This is the healed result of the shadowing effect. 2) Immediately after using hairstroke technique. 3) Immediately after using hairstroke technique. 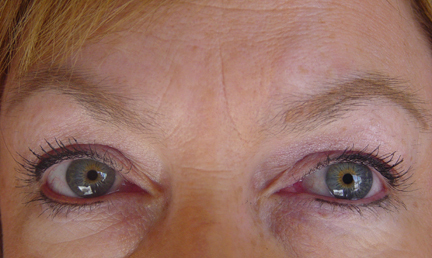 Immediately after eyebrow and eyeliner procedure. 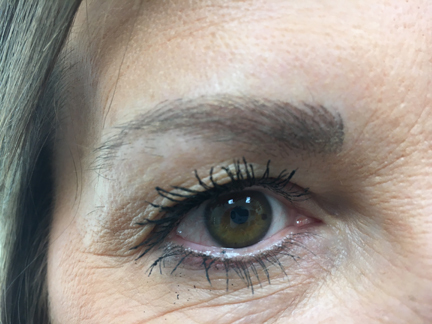 Another healed eyebrow and eyeliner procedure.